to work on your head, inside and out. Last month, we tried having Ambient Haircut on the westside at the ArtLA fair. We were cutting hair, droning away… and as Warren Beatty walked by, he gave us a deeply puzzled look. 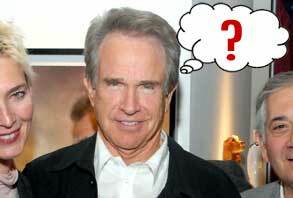 Don’t you want to be in the kind of situation where if Warren Beatty were to walk by, he would give you a puzzled look?